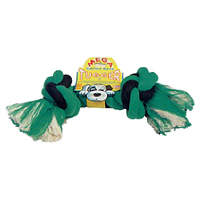 We stock a wide selection of Dog Toys at discount prices including interactive and solid rubber toys designed to keep your dog happy, active and entertained, that are made using tough, non-toxic materials suitable for most breeds. Our innovative dog toys allow owners to have fun, play and exercise with their dogs, but also encourage harmless chewing to relieve stress and boredom. Playing fetch, chase or tug of war using your dog's favourite toys is great fun, helps you bond with your dog whilst at the time keeps them mentally stimulated and out of mischief. So we recommend you make time to play with your dog each day to keep them healthy, but also to help prevent them from being destructive around your home and chewing your new slippers. So what does your dog like to do? Does your dog chase balls? Or chew and destroy toys? Would they play tug of war with you? Do they enjoy toys with yummy stuffing, funny sounds or simply ones you can fetch? 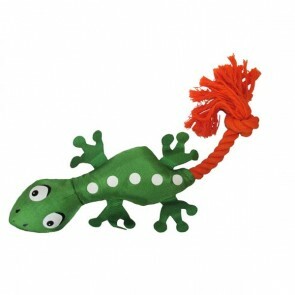 After you have discovered how and what they like to play with, you can select what suits them best from our range of robust toys designed to be thrown, fetched, pulled, chewed and float on water! 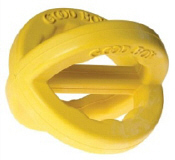 Whilst NO toy is truly indestructible, we do stock a variety of dog toys in all shapes and sizes that are harder to destroy, helping owners with strong large and medium dogs to save money, as buying an endless supply of toys to keep your dog amused can become quite expensive, just read the full product descriptions to find out if the toy is suitable for your needs. 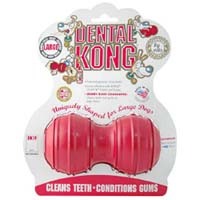 Whatever you are looking for we are confident you'll find a dog toy that ticks all the right boxes, is durable, long lasting and fun to play with at great prices for example Kongs, floating dog toys, training toys, rope and rubber dog toys, that include the classics such as bones, balls, rings, rope bones and tuggers suitable for all breeds large and small, just look at the pages on this website. Dog Toys: 5 stars out of 5 based on 8 user reviews.